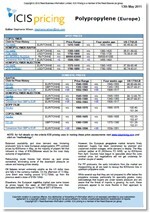 The ICIS Refinery Solvents report is published weekly in Europe. The weekly price assessments cover spot prices for hexane, white spirit and naphtha solvents markets in northwest Europe, Rotterdam and the UK. Our locally-based reporters gather market intelligence and produce unbiased and independent news and reports on regional activity, demand and supply updates, feedstock developments plus graphs and any other key issues affecting prices. 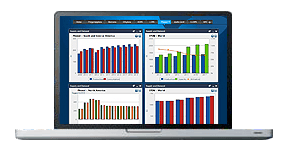 The market intelligence within the commentary can include a general overview, upstream and downstream news, demand/supply updates and any other factors influencing prices at the time for hexane, white spirit and naphtha solvents markets. In Europe, refinery solvents (hexane, naphtha solvent and white spirit) will continue to follow feedstock prices. These have increased in the new year in line with crude oil movements. If the dollar remains strong against the euro, this will also put upwards pressure on European prices. Supply and demand are expected to be stable, with additional demand for hexane in north Africa during the January and early February olive season. We offer the following regional Refinery Solvents analysis and news coverage to keep you informed of factors and developments affecting prices in the Refinery Solvents marketplace. 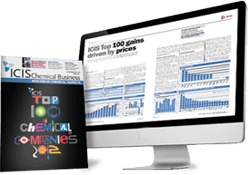 Over 25 years of reporting on key chemicals markets, including Refinery Solvents, has brought global recognition of our methodology as being unbiased, authoritative and rigorous in preserving our editorial integrity. Our global network of reporters in Houston, London, Singapore, Shanghai, Guangzhou, Mumbai, Perth and Moscow ensures unrivalled coverage of established and emerging markets. This is the ICIS pricing methodology for refinery solvents, covering hexane, solvent naphtha and white spirit. Hexane is a solvent, mainly used in vegetable oil extraction, low temperature thermometers, calibrations, polymerisation reaction medium, paint diluent and alcohol denaturant. Hexane is a flammable, colourless, volatile liquid and has a faint odour. It is a light solvent that is easily removed from the edible oil and can be recycled. Industrial use of hexane includes the formulation of glues for shoes, leather products, and construction uses such as roofing. The feedstock for Hexane is naphtha. Hexane is used in a number of applications, including vegetable oil extraction, adhesive manufacturing and pharmaceuticals. Naphtha solvent- also known as ‘light’ naphtha also known as C9. Used mainly as an industrial solvent. The feedstock for naphtha solvent is gasoline. The white spirit market has grown smaller over recent years, generally being replaced by D40 (denatured white spirit) which is more environmentally friendly. The feedstock for white spirit is jet kerosene. Downstream industries include ink industry, decorative gloss paints, alkyd resin production and industrial cleaning.